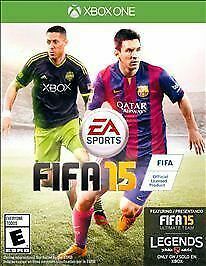 FIFA 14 (Microsoft Xbox One, 2013) Xbox One NEW! 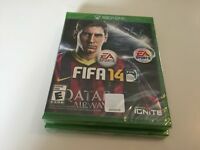 FIFA 16 for Xbox One Brand New! Factory Sealed! Soccer fans can hit the pitch and enjoy new player emotions, improved goalkeeper AI, and immersive stadium experiences in FIFA 15. Players can now produce more than 600 realistic reactions to key moments in each game, with their body language reflecting the score. More than 50 new save animations mean goalies are more likely to produce realistic tips and deflections, but that also means attackers will now take advantage of uncaught or uncleared balls. Dynamic arenas now feature new club- and country-specific chants and commentary, 10-man goal celebrations, and new bench reactions. Gamers who fancy themselves as tacticians can now create six custom team sheets per club, allowing them to alter their formations and player roles for each opponent, and all ten of the outfield players can be given up to five attacking and defending instructions. When actually on the pitch, players will experience more visceral action thanks to the overhauled dribbling and control system that accurately portrays the spin, curl, and flight of the ball, and improved physics allows for shirt pulling, shoulder barges, and heavy collisions. There are more than 40 authentic re-creations of stadiums from around the world, including all 20 arenas from the Barclays Premier League, and players can take control of teams from more than 30 leagues, including the Italian Serie A, the German Bundesliga, and the Turkish Süper Lig. Gamers can manage their team, discover new players, and court superstars from around the world in the Career mode, compete in online friendlies, take on friends in the card-based Ultimate Team mode, or use the new Match Day Live hub to get the latest news and scores from real-world games. I love play fifa, I had been playing from couple years ago and I don't now if is for the xbox one but on this console is awesome play it. i had placed the wrong address for my order and sent a letter write away. they were able to switch the address just in time for me. i was very grateful and was pleased to see that they worked it out for me. 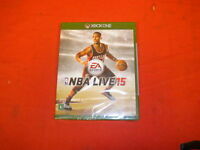 excellent to buy from. highly recommended! Great game as usual, I have purchades FIFA every year and I enyoy the playing experience. I like to feel every change they have made in any new development. What I do not like in Fifa 15 is that they removed face to face matches and match lobbies. I hate to play every time in season match and I do not play ultimate team at all. Also, not matter what Fifa servers are really slow, and disconnects to often when paying.